Finding and acquiring quality app users is hard enough. Keeping the users you have, forming habitual usage patterns and deriving value from those users—that’s even harder. Reviewing app retention rates over the second half of 2016, Localytics reported that 64% of users stopped using an app one month after download. That’s 2 out of 3 downloads! Trying to convert users to high lifetime value is expensive, too. 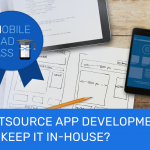 According to the most recent Liftoff data, the average developer cost to acquire a user who makes at least one in-app purchase now hovers around $50. But don’t lose hope. A good rewards program can help you keep users coming back to play more, experience more and spend more. 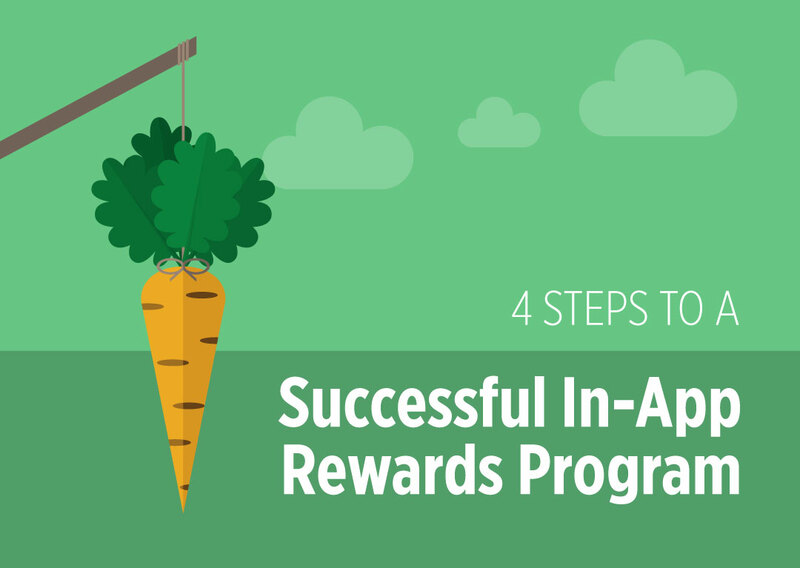 Put simply, a rewards program consists of a set of desired actions with accompanying incentives for completing them. Anybody can offer a few in-app tokens to make users feel special, but the secret sauce for the best mobile app rewards programs lies in how you construct them to works towards your business goals. Let’s take a closer look. Be specific and clear—the goal should drive the rest of your strategy. For each goal, there are logical actions that you might ask users to take. Learn more about your users. Actions in this case could be taking a survey, turning on location services (so you can gain more context about their daily lives) or sharing more personal information (birthdates, etc.) in the user profile. 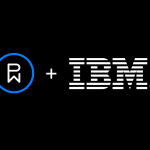 Increase revenue through brand partnerships. Actions in this case could be watching a rewarded video ad or even visiting a brick-and-mortar store. When you share your rewards program with a brand, you can realize much higher payouts than you would with traditional media. Boost engagement / drive habits. Actions in this case are behaviors that tie users more closely to your app, such as sequential days of usage. Your data can help you identify the actions that are most likely to be habit-forming. Let’s say your data shows that users who share content from your app with at least two people are 40% more likely to become habitual users. You might offer a small incentive for sharing, like access to a gated article or an exclusive photo filter. Convert habitual users into premium users. Actions in this case emphasize urging users to subscribe or pay for premium access to content in your app. Let’s say data shows that 80% of app users who engage for three consecutive days ultimately buy a subscription to your pro service. You might design a rewards program that offers an incentive for interacting three days in a row—such as a small amount of in-app currency—to reward the user’s loyalty or diligence. In-app currency. Tokens, extra lives, etc. Customization. Many games and other apps provide unlockable personalization options such as new colors or decorations. These digital goods don’t change the app’s functionality or the game’s level of difficulty, but they do add a layer of entertainment, personalization and delight. Even better, they can be branded, providing an additional avenue for revenue generation through brand partners. Exclusive content. Exclusive content is a way to reward users for taking a one-off action, such as a newsreader offering premium content access as a reward for social sharing or a dating app unlocking profiles of people who have indicated interest in you if you pay real money OR watch rewarded video. This exclusive content can be branded and often highly engaging—as in a sponsored gameplay integration. How many rewards opportunities will each user receive in a given day, week or month? 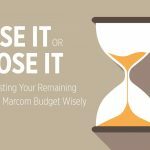 You may risk devaluing your own currency or content by making too many things accessible for free too often. If your rewards include exclusive content that users would otherwise have to pay for, you might end up cannibalizing their in-app purchases. Stick to offering users a few lower-value reward opportunities per hour or day and consider creating a weekly challenge to earn higher-value rewards. You’re definitely not alone here. The good news is that while 23% of users only use apps once, 39% of them come back for 11 or more sessions. A strong rewards program is one smart way you can make sure your users are in the second category. Looking for more ways to improve your user retention? Check out our eBook, Sticky Notes: How to Re-engage Your Users Like a Boss. Contact us to find out more about how in-app rewards programs can help you attract and engage the right audience for your mobile experience. 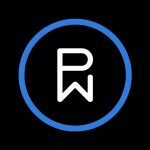 Dave Berman is the Director of Product Marketing at Phunware. He holds an MBA from Rochester Institute of Technology and has over ten years of experience in building and marketing mobile technology.